A special-needs trust, also known as a supplemental needs trust, is a specialized legal document specifically designed for beneficiaries who are either mentally or physically disabled. This trust allows the beneficiary to enjoy the use of property held in trust for his or her benefit, supplementing any benefits that a person with special needs may be receiving from government programs. A special-needs trust is often considered a “stand alone” document, although it can also form part of a Last Will and Testament. The trust ends when it is no longer needed—usually when all of the trust funds have been used or at the beneficiary’s death. There are three main forms of special-needs trusts: A first-party trust, third-party trust, and pooled trust. In all three types of trusts, the individual with special needs is named as the beneficiary. A first-party trust typically holds assets that belong to the individual with special needs, such as an accident settlement or an inheritance. The parent, grandparent, or guardian of the beneficiary—or in some instances, the court—must create the trust. The beneficiary cannot create it, even if his or her assets will be funding the trust. A third-party trust holds funds that belong to other individuals who are helping the person with special needs. This type of special-needs trust is often used by the beneficiary’s parents and other family members who wish to assist their disabled loved one. A third-party trust can hold any type of asset, such as stocks, bonds, a house, and various other investments. A pooled trust, e.g., the Alabama Family Trust, holds funds for many different beneficiaries with special needs. This type of trust is usually set up by charities, as they allow beneficiaries to pool together their assets for investment purposes while still retaining separate accounts for their individual needs. With a pooled trust, the remaining funds in the beneficiary’s account reimburse the government for care when he or she dies, but a portion will usually be given to the non-profit organization that manages the trust. Although there are several types of special-needs trusts, they all share the common characteristic of maintaining eligibility for public benefit programs that are asset-tested such as Medicaid. Supplemental Security Income or SSI is a government program that helps disabled individuals with low incomes. In order to qualify for SSI, a beneficiary or applicant must only have up to $2,000 in his or her name. Due to the limitation on assets to qualify for SSI, Medicaid, and other public benefits, a disabled individual with more than $2,000 in assets generally has two choices: to spend all of his or her money immediately, or to put the money in a first-party special-needs trust. A special-needs trust is very useful for beneficiaries receiving SSI; they are entitled to retain their benefits while still being able to use their own funds when necessary. Disabled individuals often qualify for government assistance such as Medicaid, SSI, subsidized housing, and vocational rehabilitation. However, many people mistakenly leave assets to their disabled family members through a will, not knowing that their acquiring assets such as lump sum of money may disqualify them from government assistance programs. A special-needs trust avoids these issues and preserves a disabled individual’s eligibility for public benefits because assets in trust are not considered as resources to the disabled individual. 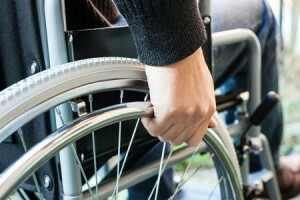 Persons with disabilities may need assistance with even the most basic of tasks. They may need special equipment and may be dealing with higher medical care costs. A proper special-needs trust gives disabled individuals access to superior care options and opportunities for treatment, out-of-pocket dental and medical expenses, personal care attendants, rehabilitation, electronic equipment, job training, home furnishings, vacations, and much more. These supplemental items will promote comfort, productivity, and self-worth. Each U.S. state has its own set of limitations in terms of how funds may or may not be used. Generally, however, the trustee of a special-needs trust may not use funds for basic household expenses or for transferring cash directly to the disabled individual, but rather, for documented healthcare needs. A special-needs trust may be created by the parent, grandparent, or guardian of the beneficiary anytime before the beneficiary’s 65th birthday. A special-needs trust is commonly created early in a disabled child’s life as a long-term means of holding assets that benefit him or her. State that the trust is intended to provide “supplemental and extra care” beyond what is provided by the government. State that it is not intended to be a basic support trust. Include language regarding Medicaid payback. Reference the Social Security Operations Manual and the specific parts of the manual that authorize special-needs trust creation. Explain the exception to the Omnibus Budget and Reconciliation Act. Include relevant provisions from the U.S. Code. Exclude an estate tax provision known as a Crummey Clause. Although anyone can create a special-needs trust provided that the required language is used, a person or family wishing to benefit a disabled individual is strongly advised to seek the services of an attorney specializing in special needs issues. A poorly prepared trust may result in a loss of savings and benefits, as well as other legal and financial hardships for both the trustee and beneficiary. A special needs trust is an essential component of your estate planning, serving as a solution for the long-term care of a disabled loved one after your passing. 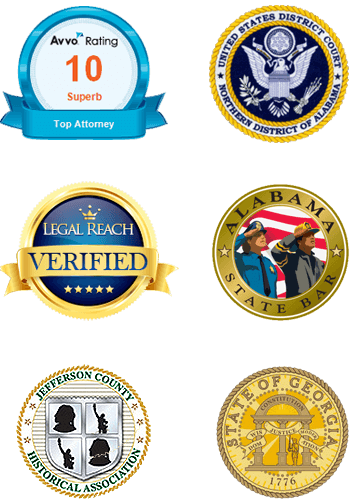 Consult with James B. Griffin today by calling (205) 502-2199 to see if this is an ideal option for your particular circumstances.